**** please note**** if you want a 100% custom cake topper you will have to send us a conversation to discuss the details, as well as time frame if it is needed immediate. 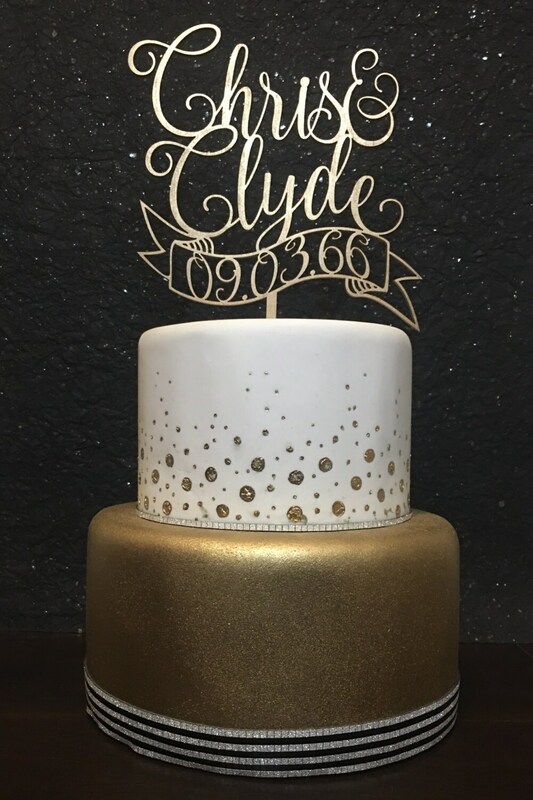 This "custom" listing is for "___________&_____________ cake topper with the date"
The stick that goes into the cake measures approximately 4.5 inches. The cake topper was lovely. It had a nice gold finish. It is a bit delicate so make sure to protect it well. It looks beautiful on the the cake.